Make Your Party Perfect! | The GTA's Top-Rated Play Park and Party Place! Looking to Book a Special Character for Your Party? We’ve got some! 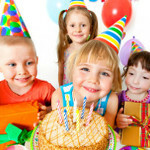 Click Here to Start a Booking for Your Unforgettable Party! Put me on your mailing list so I can hear about upcoming events and other news.